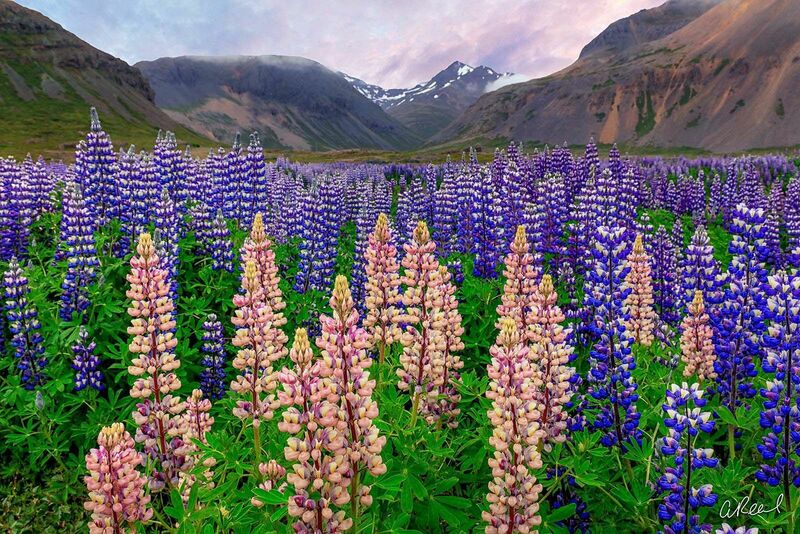 Fine Art Limited Edition of 50 - Lupinus, commonly known as lupin or lupine (North America), is a genus of flowering plants in the legume family, Fabaceae. The genus includes over 200 species, with centers of diversity in North and South America. Smaller centers occur in North Africa and the Mediterranean. They are widely cultivated, both as a food source and as ornamental plants.